Famous Bollywood actor Ranbir Kapoor has been in the news for some of his images that have surfaced online. These images, which show him riding a Hero Maestro Edge, show the actor happily riding with a pretty pillion. 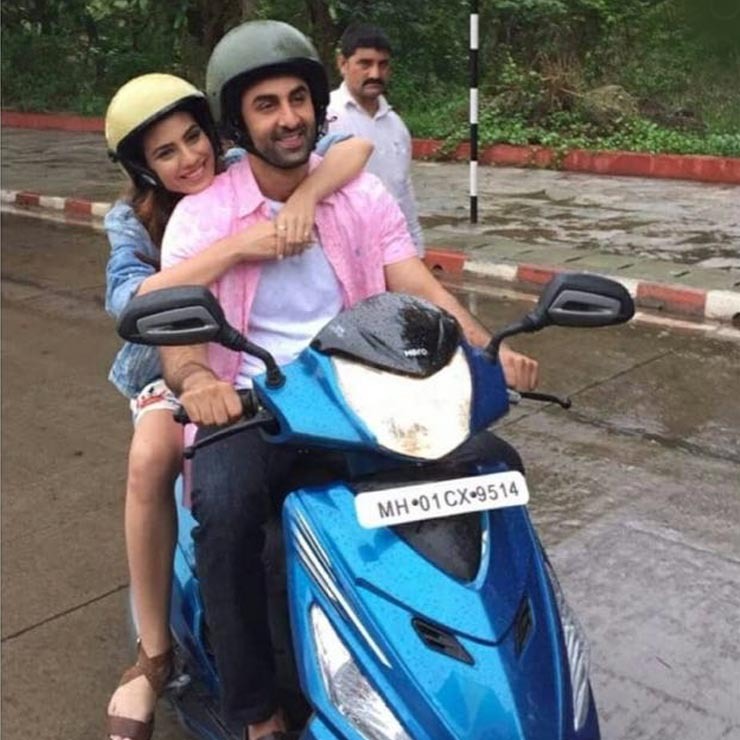 As it turns out, these images were taken while the actor was shooting a TVC for automatic scooters from Hero MotoCorp. Ranbir Kapoor has been the brand ambassador for the Hero Maestro Edge. As per latest reports, he was in Goa to shoot the TVC for the updated Maestro Edge variant. It’s worth mentioning here that the Hero Maestro Edge was given a minor facelift early last year. The facelift comes equipped with some new features and an updated engine. The Maestro Edge looks pretty bold and stylish, and targets the young male audience. Powering the scooter is a 110-cc air-cooled engine that outputs a max. power of 8.31 bhp at 8,000 rpm and a peak torque of 8.30 Nm at 6,500 rpm. This makes the latest version of the Maestro Edge slightly more powerful. The pre-facelift Maestro Edge offered 8 bhp at 7,500 rpm and 8.7 Nm at 5,500 rpm. Other features of this scooter include a new digital-analogue speedometer console, 3D emblem, Auto Headlamp On (AHO), stylish body graphics LED tail lamp, tubeless tires, boot light and a mobile charging port. Also, the scooter offers an external fuel-filler cap near its taillamp. As the Hero Maestro Edge targets the young male audience, it’s available in two dual-tone shades along with seven single-tone paint schemes. The dual-tone paint shades include, Active Matte Grey + Blue and Sporty Matte Grey + Red. The seven single-tone paint schemes include, Shooting Night Star, Techno Blue, Matte Blue, Matte Vernier Grey, Panther Black, Candy Blazing Red and Pear Silver White. The Hero Maestro Edge prices range from Rs 49,900 to Rs 55,971 (ex-showroom, New Delhi). The scooter is available in two variants, Steel Wheels and Alloy Wheels.